Ereaders are changing the face of reading across the board, and experiments in creating more economic-friendly textbooks for students are increasing. The results, however, are not all positive. As students attempt to incorporate electronic text into their studies, issues with e-textbooks are starting to emerge — and the problems go beyond poor annotation and sharing tools. More results from the study are discussed here and here. All seem to point to an opportunity to create different kinds of ebooks and ereaders for use in academia that better accommodate cognition. If the study results hold, companies creating smartphone apps for e-textbooks may want to rethink their efforts. 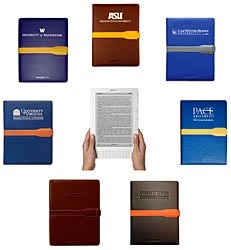 Photo: From the University of Washington Kindle DX pilot website.